A worker at a big box store reinvents herself and her life-story to nab a better job. “Second Act” is basically a TV movie released on the big screen. The film is likable although the plot is nothing new. There are a few confusing moments in the script, but everyone in audience knows where this is going. 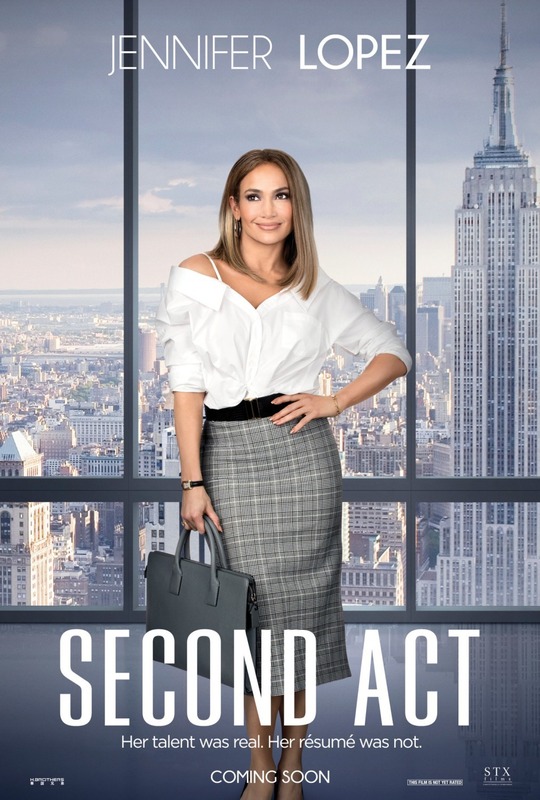 In the end, “Second Act” is a typical 'fish-out-of-water' formula movie which is trying very hard to be relevant but falling way short of its goal. 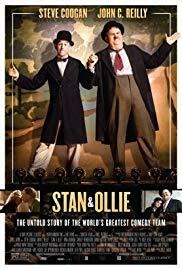 Stan and Ollie is the heart-warming story of what would become the pair's triumphant farewell tour. With their golden era long behind them, the pair embark on a variety hall tour of Britain and Ireland. "Stan & Ollie" is, simply put, a love letter to Hollywood's greatest comedy team. Both John C. Reilly and Steve Coogan are spot on in their performances as the kings of comedy who are facing the downside of their careers. The film is a statement on love, friendship and loyalty. "Stan & Ollie" is a genuine pleasure and a must see film. "If Beale Street Could Talk" is a deeply eloquent and thought-provoking character study. The film is slow to boil but ends up a truly satisfying story with terrific performances by the cast, including Best Supporting Actress Oscar winner Regina King. If your tastes lean more toward an intricate paced film, this one's for you. 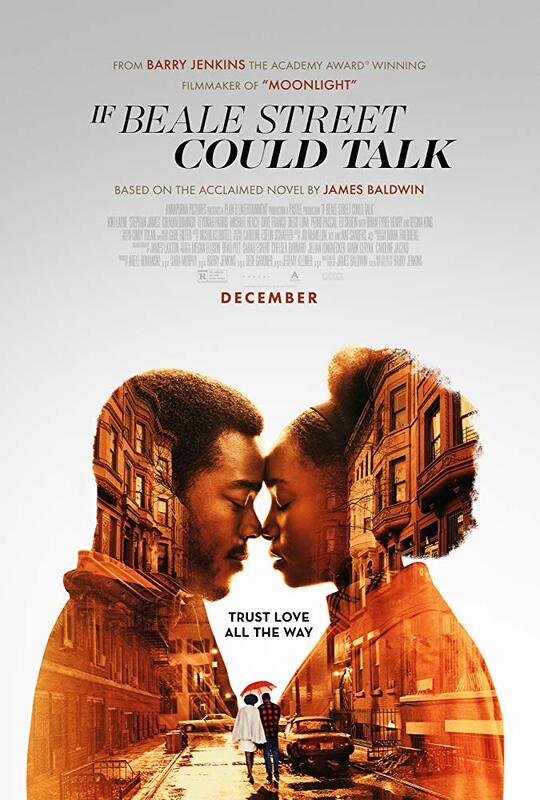 "If Beale Street Could talk" gets a B and is rated R.
“Aquaman” takes much too long to get to the point as the film keeps tacking on plot devices and characters giving the audience a sense the script was unfinished when production began. 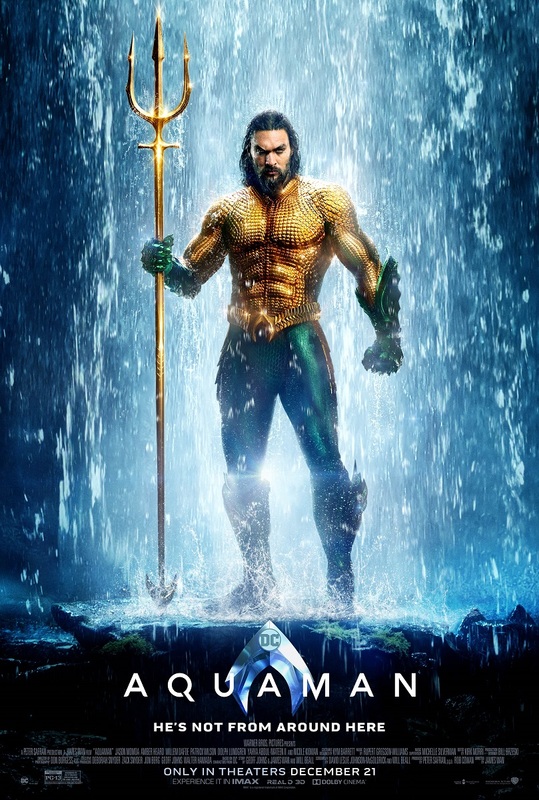 Despite its terrific special effects, “Aquaman” is mostly a lackluster, uneven and unsatisfying film begging for one more re-write.